Released January 11, 2019, as an extension of the 2018 “Mickey Through the Years” Collection for Mickey’s 90th Anniversary. 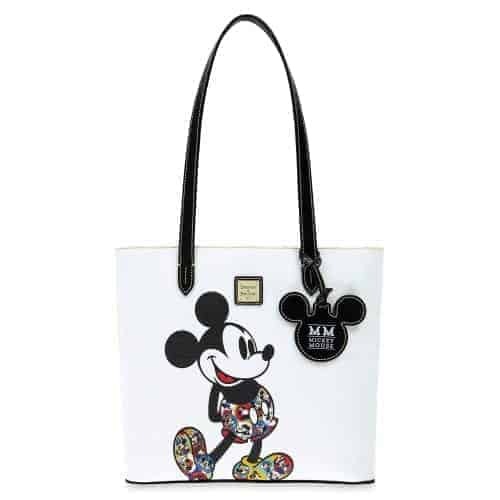 In addition to this tote, another collection was initially called “Mickey Through the Years” Collection but was renamed to Mickey’s Celebration when it was released in April 2019. Carry around nostalgic memories of Mickey with this stylish tote by Dooney & Bourke. 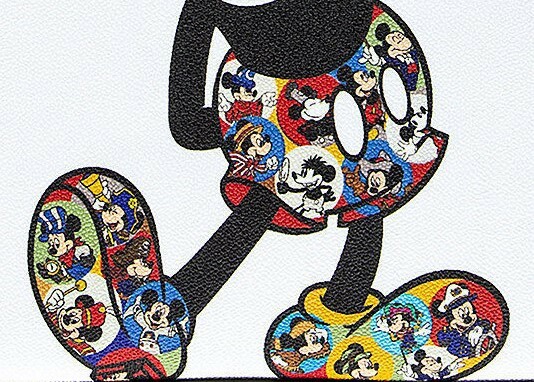 Colorful images of Mickey through the years stand out against the white-coated cotton design with its contrasting black handle and icon tag.